Gillers, Stephen (2007). "A Tendency to Deprave and Corrupt: The Transformation of American Obscenity Law from Hicklin to Ulysses". Washington University Law Review 85 (2): 215–96. Ginkuhà 5 October 2009. 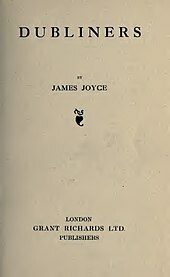 The Joyce Papers 2002, c.1903-1928 from the National Library of Ireland. The James Joyce - Paul Léon Papers, 1930-1940 from the National Library of Ireland. Annoted Ulysses, marked up version of Ulysses. Ini nga pakli kataposan nga ginliwat dida han 11:14, 19 Disyembre 2018.